Medway Registry Office is situated in Northgate Rochester, right next to the Corn Exchange. The venue has two rooms for Marriages and Civil Partnerships. 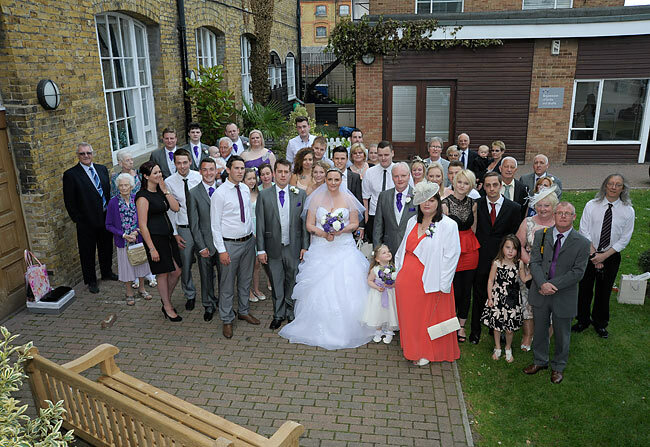 At the Medway Registry Office, there is a small room which holds six people including the bride and groom. The library room holds up to fifty guests. This larger room is bright and airy and has doors leading out to a small garden area. 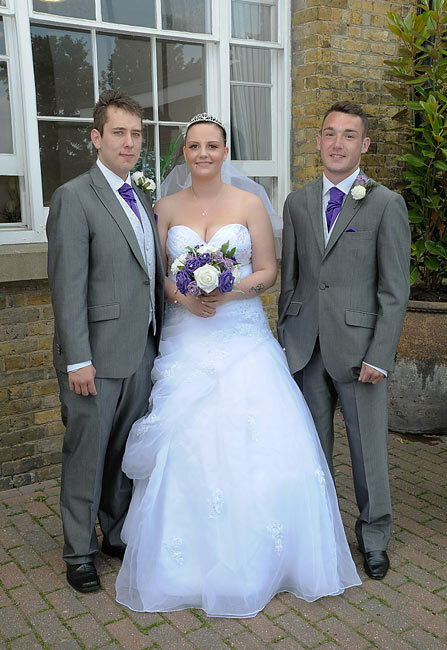 I have photographed many weddings at the Medway Registry Office and I have a DVD package ideally suited for smaller weddings. The package is for up to thirty guests and includes all the coverage with at least 125 images hi-res supplied copyright free and ready to print on DVD. Print and book packages are also available. 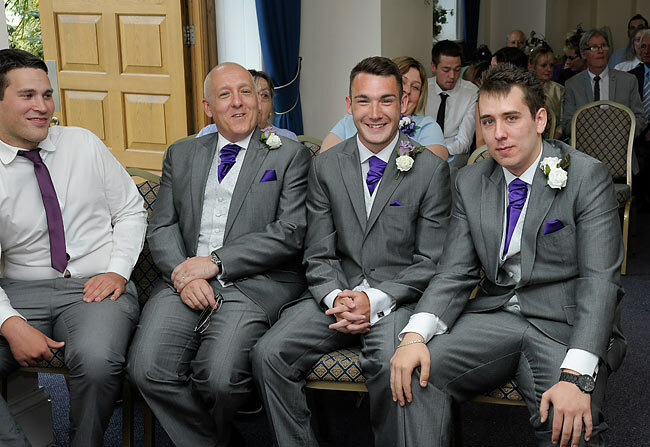 The images can also be placed online and the bride and groom have a password to view the images and share with family and friends. Medway Registry Office has ample parking nearby and now benefits from the new Rochester railway station, which is within walking distance. 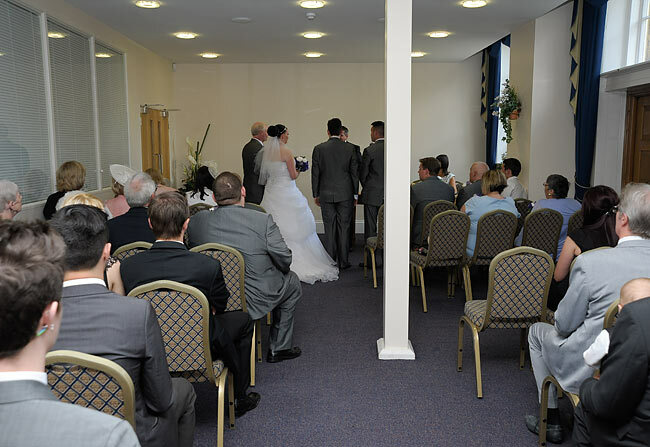 Both the wedding rooms are on the ground floor with easy access. The groom and best man are interviewed by a registrar and then wait in the wedding room. 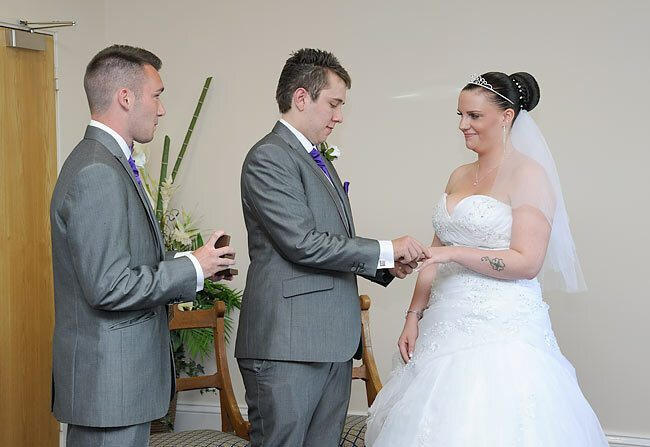 Once the bride arrives after being interviewed she can make her entrance to the wedding room. 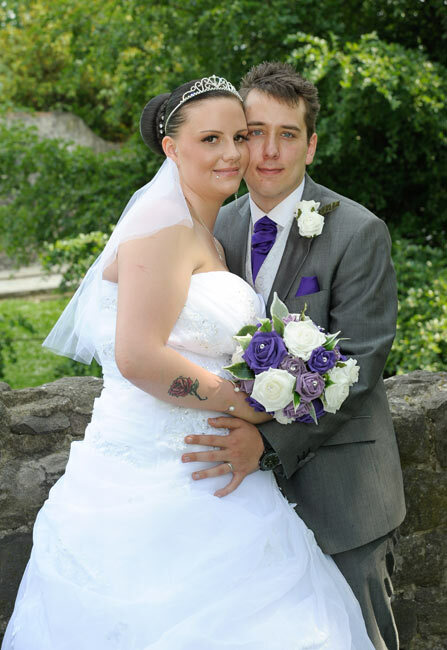 I photograph the wedding throughout the service to capture all the special moments. 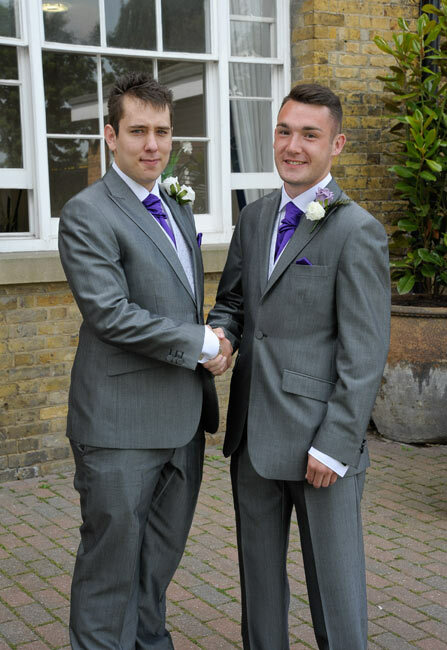 Once the bride and groom are married the guests are invited to photograph them and then they leave through the side doors into the garden. The garden is ideal for smaller groups. 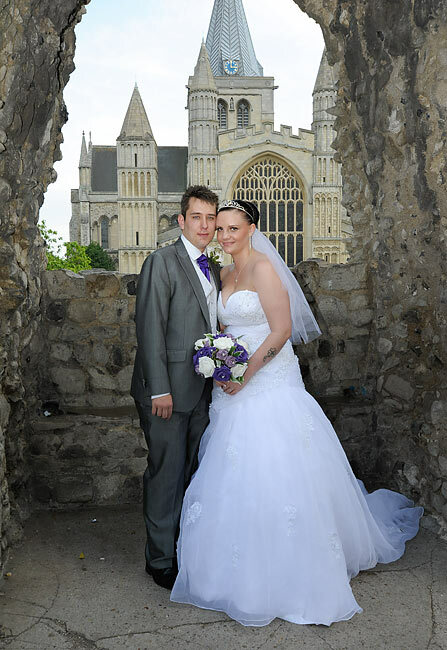 I normally start here with the group shots and then go up to Rochester Castle and the surrounding area. If the bride and groom have a wedding car they normal get a lift to the castle and the car waits while the photographs are taken. 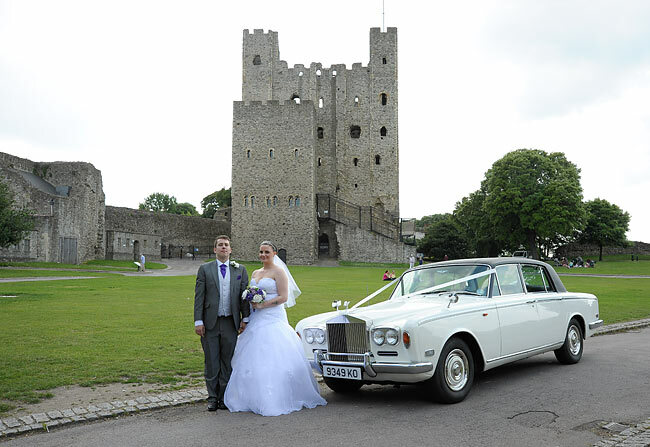 Some larger wedding parties at the Medway Registry Office choose to have all the photography done at Rochester Castle. 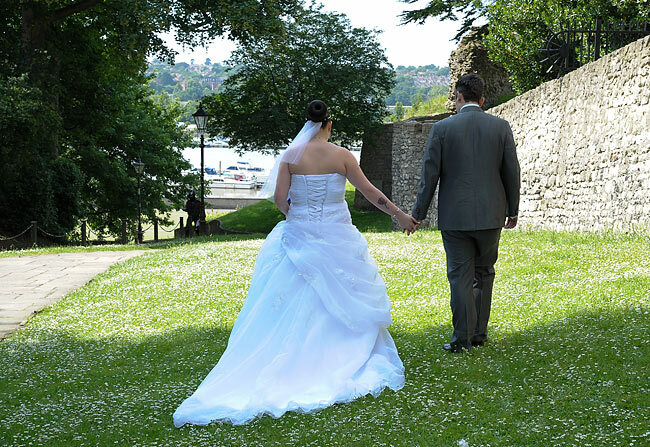 Near the Medway Register Office there are many venues suitable for wedding receptions such as The George Vaults, Rochester, and The George Hotel, Chatham.